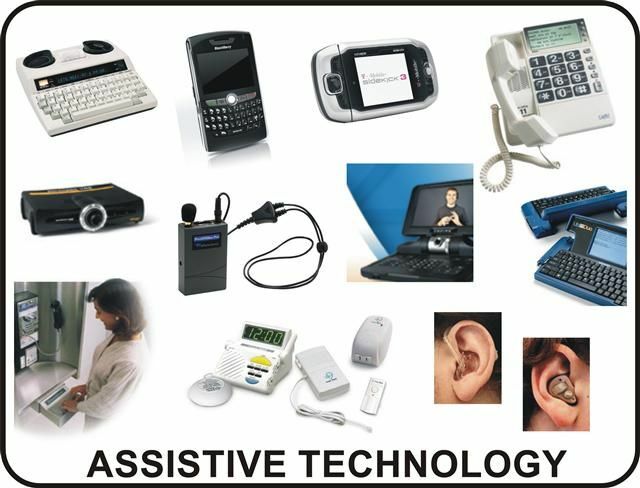 Assistive technology has been around for a long time as I learned when researching the history of this technology. When I think back to when I was in school and assistive technology, I really can not remember seeing a lot of it. I certainly wasn’t offered any alternative technology to use in class. I do remember a few students that were impaired in some way, such as a wheelchair or hearing aid but as for students using assistive technology there were very few if any at all. When I entered university I did see some students using computers and scribes for their class notes. I also saw EA’s that would work with some students on basic understandings and organization. There were classes that accommodated for students with impaired hearing and professors would share their notes with students that were unable to write. When I started teaching I was working with students with behavioral challenges. Most of them were not programmed for appropriately in the regular school setting and would act out in class. Many of these students did and do not have learning disabilities but there were many gaps in their learning due to attendance, family, addictions, justice, and behavioral issues. These students generally are not engaged in school and have a very hard time building relationships. When they have exhausted all their options in the regular school system they are referred to my school. It is the job of my school (CAMPS) to build a relationship with the students, find out where they are academically and fill the gaps. They are also referred to any outside agency supports (mental health, addictions, etc.) if needed. Although many of my students do not have a diagnosis for assistive technology they all benefit from it in some way. I have used Dragon Naturally Speaking, Kurzweil, computers, ipads, TV, audio tapes, fidgets, body breaks including treadmills, elliptical machines, stand-up desks, stairs and a stationary bike. All students have the opportunity to use any assistive technology that they may need. I believe that all students should have access to technology, it is here to stay and students should have knowledge about what is available. I think that some of the limitations of assistive technology are support, training, funding and access to what is available. Another limitation is restricting the use of technology to only students with diagnosis. This entry was posted in EC&I 833 Blog Posts. Bookmark the permalink. ← Stick It Up Your….! Benita thanks for mentioning that your students do not have diagnosed disabilities but benefit from AT. There are many students who struggle with many of the issues in regular classroom settings that could also benefit in the same way your students are. I hope more teachers and support staff jump on board with using tech to assist our learners! I concur with Heidi. I have many students that need assistance in many ways aside from those who are designated specific tech. I also appreciated that you talked about assistive tools that weren’t just limited to electronic technology, yet they are still tools to assist the students. It’s important for us to recognize that tools don’t have to be electronic devices to assist students. Thanks for your post. Thanks for the great post! You address many of the problems of assistive technology that I completely agree with – such as training, funding, and limiting it to those with only a diagnosis. I feel as though these go hand in hand – we limit the availability of these tools because of the cost, and sometimes we aren’t implementing them properly because we don’t have the proper training. So I think to fix these limitations, we need to address them as a unit, a cycle in which they all go hand in hand. If we are to fix one of these, we need to fix all of them, although this may happen when we start addressing one of them. Thanks for the great post!